Mimi is working on a Bioscience for Health project on 'Investigating the Role of the Bacterial Mechanosensitive Channel (YnaI) in Salmonella Pathogenesis', with Dr Sam Miller at the University of Aberdeen. 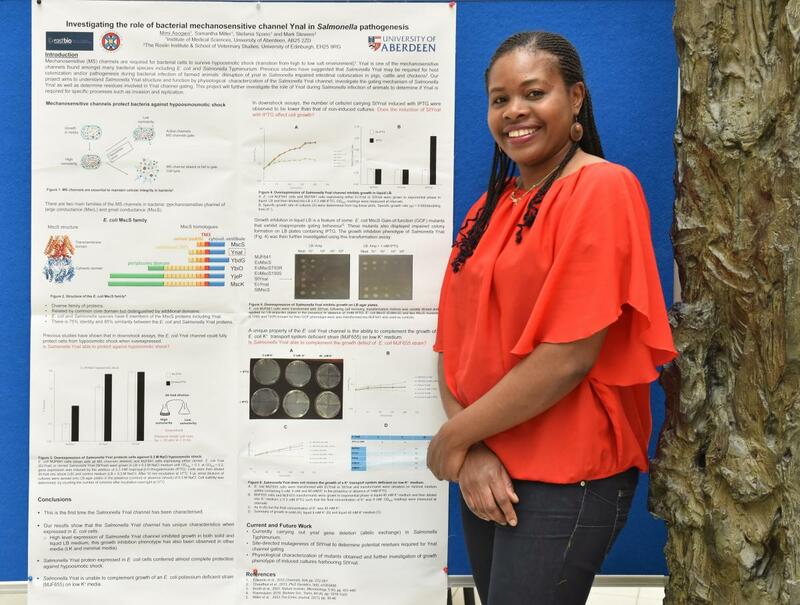 The prize has not just monetary value but also includes an invitation to Mimi to submit an article to the Journal of Medical Microbiology; the article would describe all or part of the findings she has reported in her contribution to the Birmingham poster session. Congratulations to Mimi from EASTBIO and best of luck with her publication plans!